Boys’ onesies come in many styles and materials: from animals to football teams, and cotton to fleece, onesies for boys will ignite your little guy’s imagination and keep him warm at the same time. In sizes that also fit teenagers, you can find a great Batman onesie or the perfect onesie for Christmas 2018 right here; and if you’re looking for baby boy onesies, head on over here. For boys’ onesies see above, for the answers to all your onesie queries, see below. Do they make onesies for teenage boys? 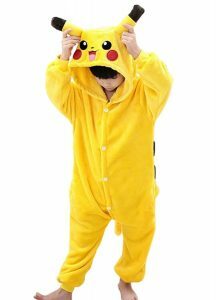 Yes, onesies are for everyone and manufacturers cater to any age group. There’ll usually be enough information in the product description to get the right size for your teenager (barring an unexpected growth spurt before delivery), and many brands even allow you to browse by age to make everything even easier. Can I get a football onesie? Yes, loads. Boys’ football onesies are one of the most popular styles, so you’ll easily be able to pick up a comfy way for your boy to show his team colours. If you’re struggling to find a particular team then get in touch and we’ll see what we can do to help. Like all onesies, boys’ onesies are the most comfortable possible garment. If you’re buying a present for your little guy for Christmas, you’ll be sure to see him wearing it year-round. How do I know which size onesie will fit my boy best? 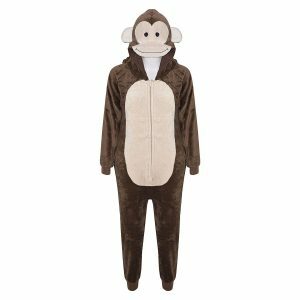 When it comes to onesies, it’s generally better to look for one with a bit of room to spread out in: they’re designed for comfort after all. Usually onesie manufacturers are aware of this, so whatever size of t-shirt your boy wears should be the size of onesie that fits him best. The dimensions of each onesie are included in our product descriptions to help you find a fit that’s just right. How do I wash a onesie? 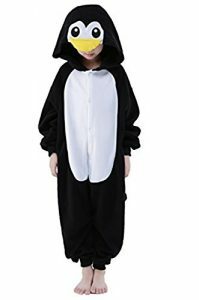 Although the comfort granted to the onesie-wearer can make it hard to change into normal clothes, onesie hygiene is certainly to be recommended. Little boys do get a bit smelly if they don’t change clothes, and in the comfy warmth of a onesie things are no different. As onesies are made from a variety of fabrics, the exact washing instructions will depend on the onesie you buy. Typically they are all machine washable, so it shouldn’t cause you any undue stress. 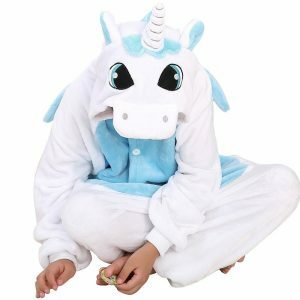 What material should I get a onesie made from? This depends on what you’re getting your boy a onesie for and how much you’re looking to spend. 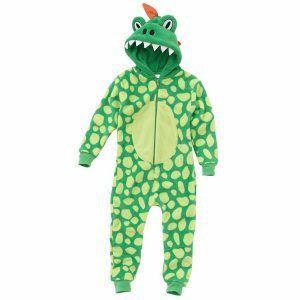 If you’re looking for a fancy dress costume that’s likely to need washing the next day, then picking up a polyester or cotton onesie would be a sensible way to go. If you’re looking for maximum lounging comfort, then why not indulge in a fleece or towelling onesie? They’re both great options, and it probably comes down to how cool you think your boy’s socks are. 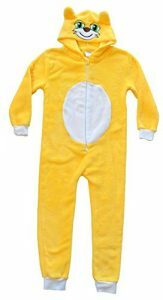 Onesies that cover your feet are ideal for wearing around, and will usually have pads on the soles to prevent any falls on slippery floors, and shoes can also be worn over the feet of regular onesies. Basically, it’s up to you.